Home BUSINESS Property worth sh. 10 million demolished in Githurai 45. 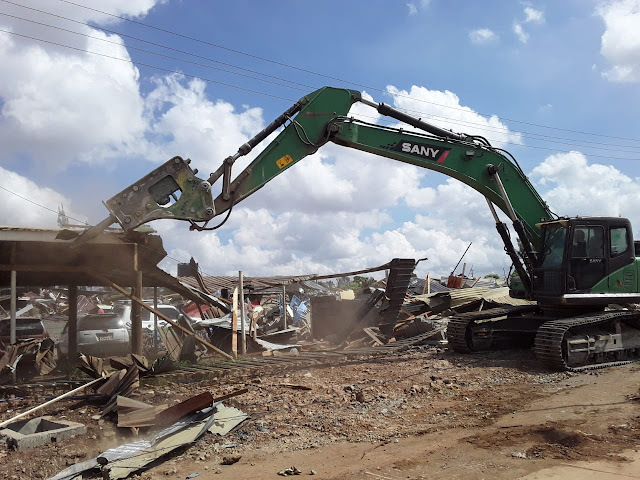 About 4,000 small businesspersons and squatters of Ziman Settlement Scheme in Githurai 45 area woke up Monday morning to a rude shock as their businesses and shanties were pull down under heavy police guard. This prompted angry youth to demonstrate and block Thika Superhighway for about an hour before police dispersed them. This scuffle caused heavy traffic along the busy highway that stretched over several kilometers before normalcy was later restored. According to one of the scheme’s leaders Michael Karanja, they had no prior notice of demolition. 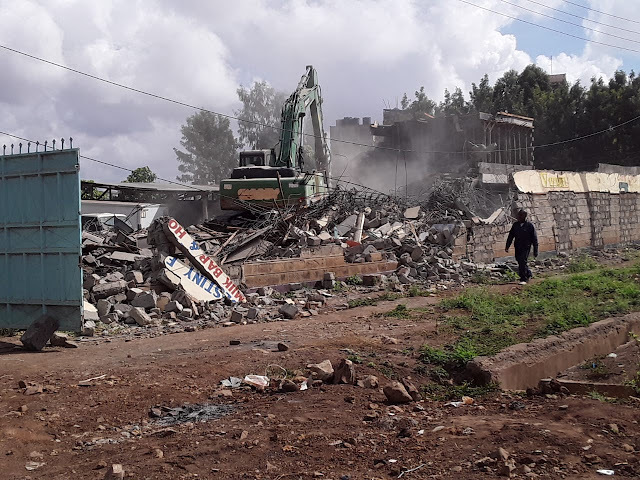 He accused Deputy Inspector General of Police Edward Mbugua of contempt of court for spearheading the demolition despite the society having a court order stopping any such action.